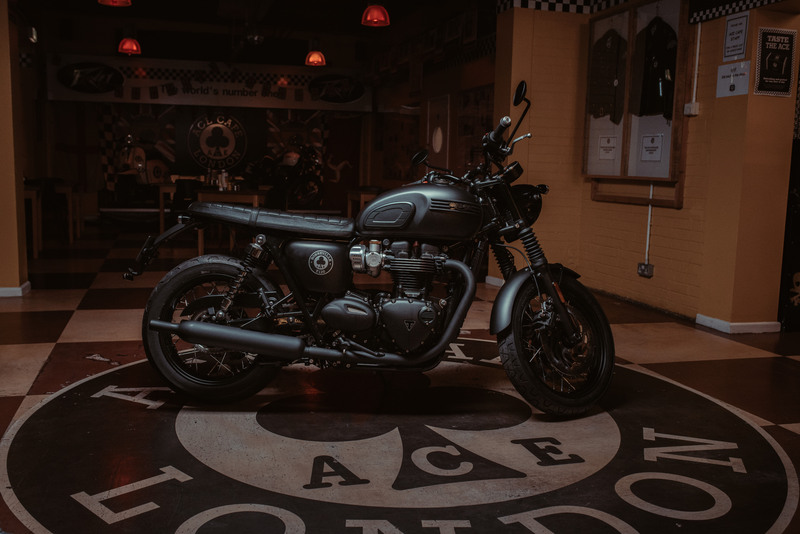 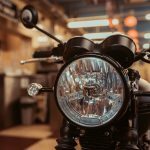 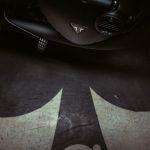 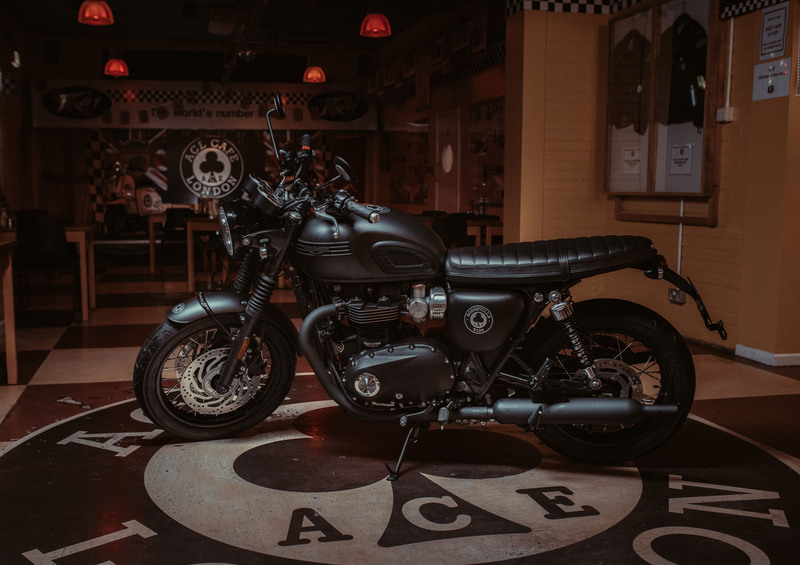 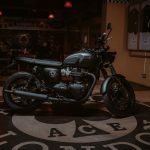 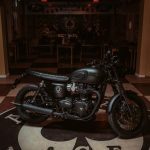 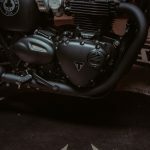 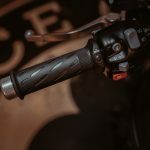 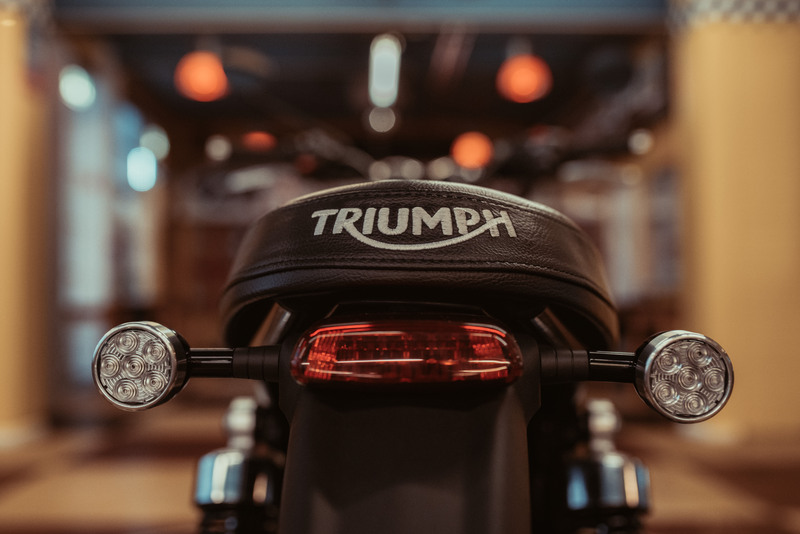 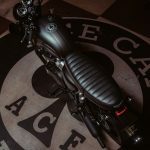 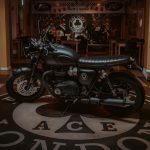 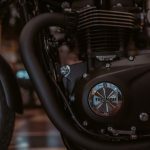 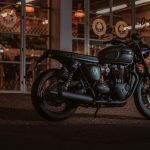 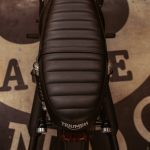 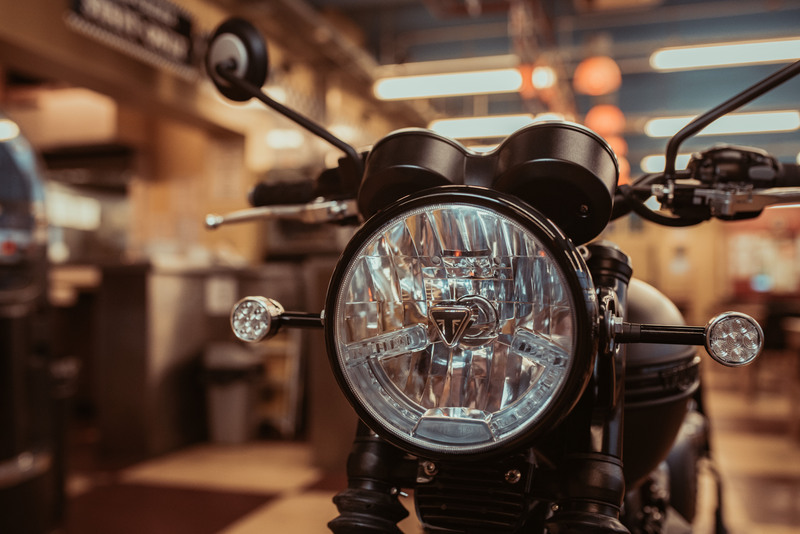 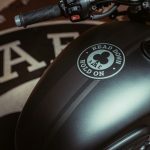 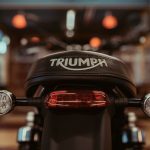 Triumph introduced two one-off limited edition models at EICMA, one recognizing the 60th anniversary of the Bonneville and the other paying tribute to the legendary Ace Cafe in London. 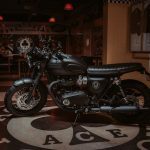 You can read more about the Bonneville T120 Diamond separately, but here is the 2019 Triumph Bonneville T120 Ace. 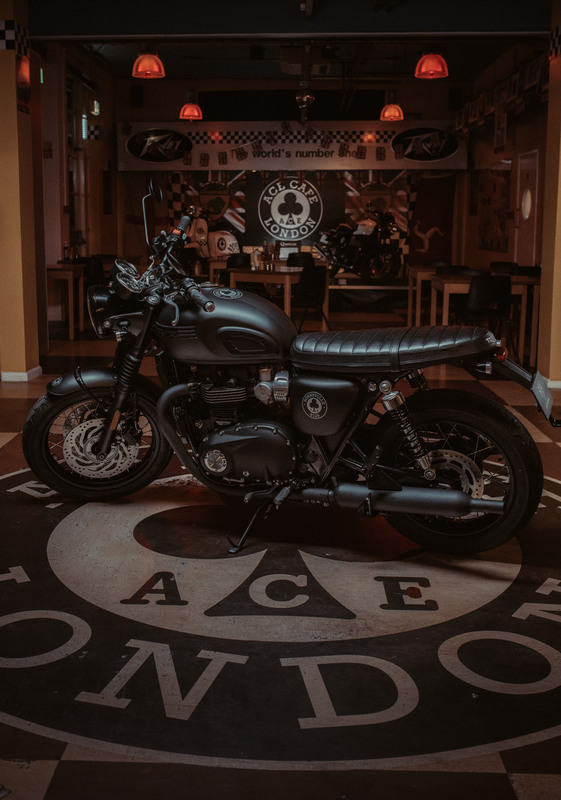 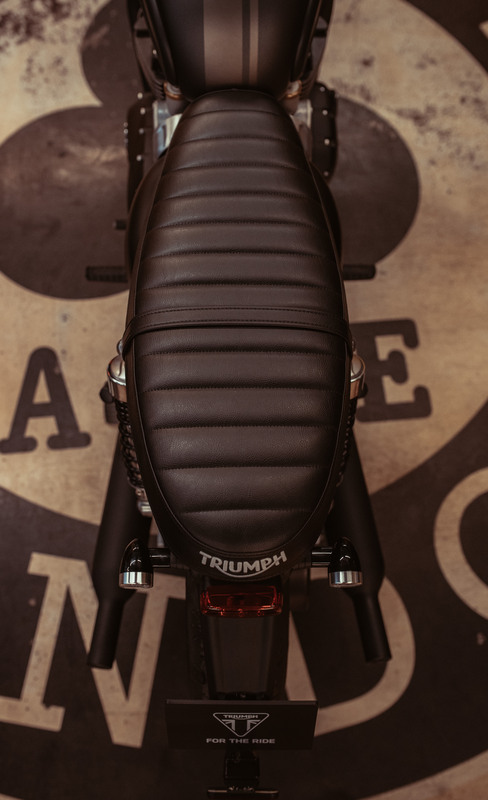 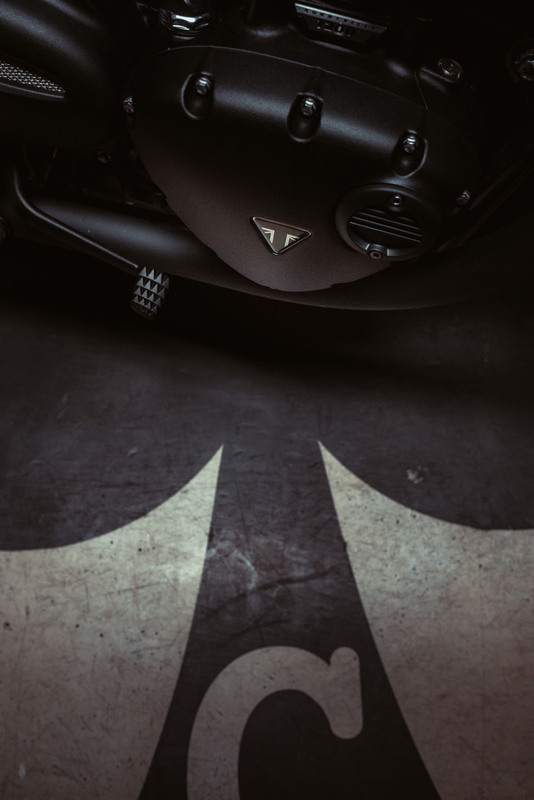 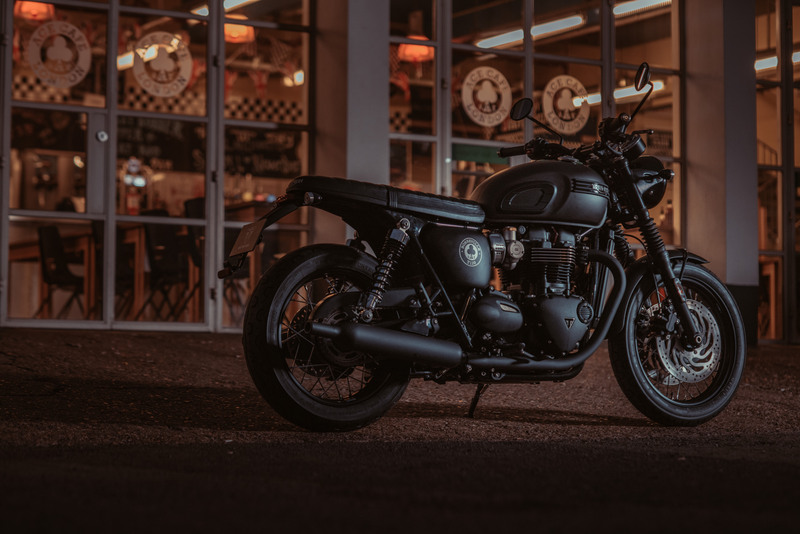 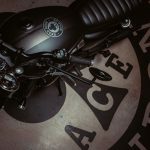 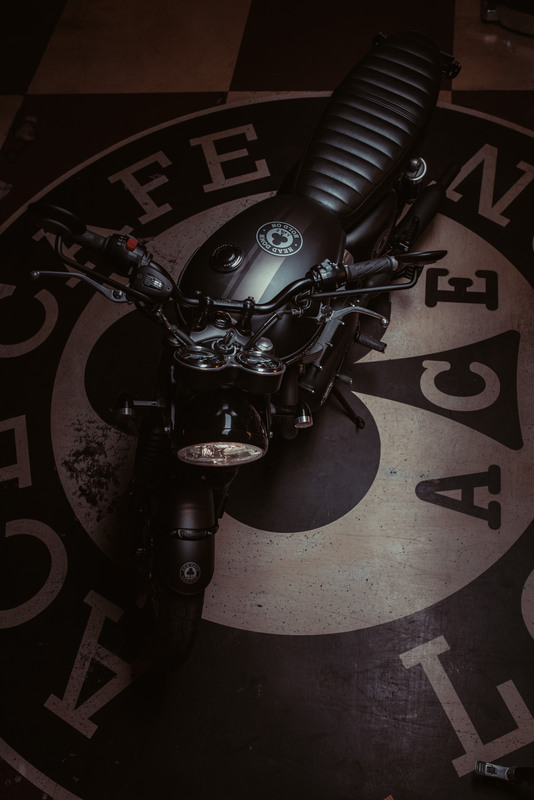 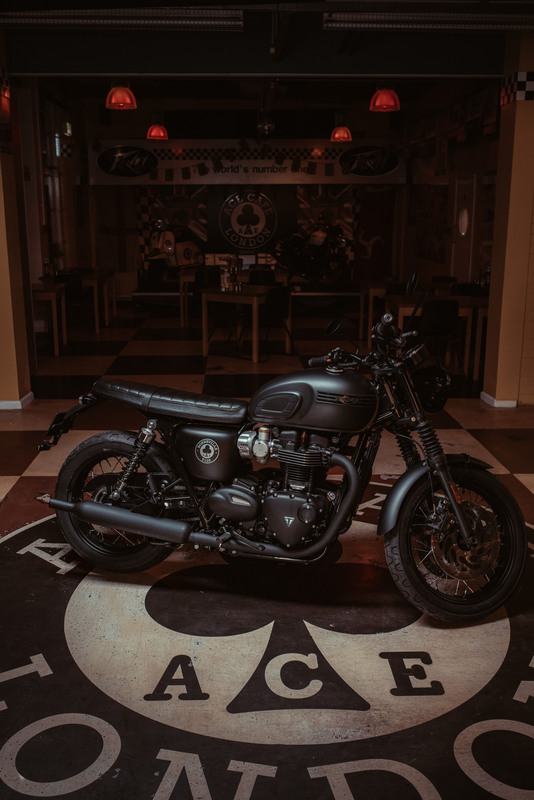 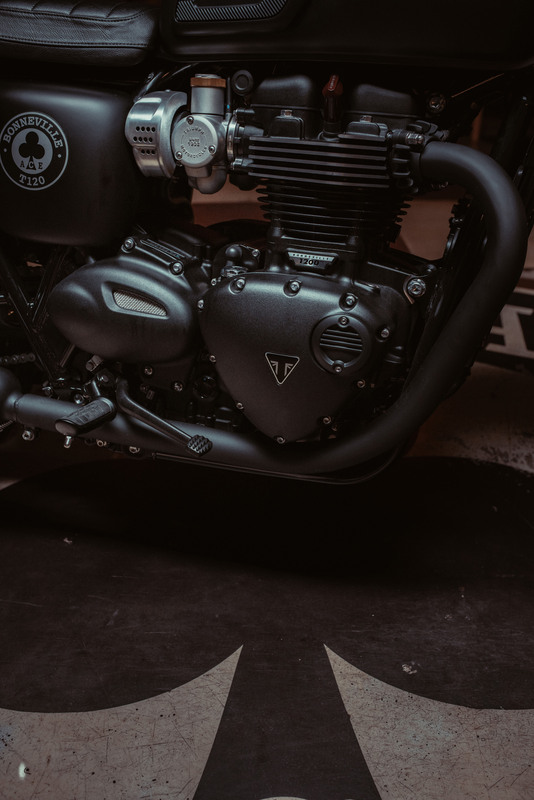 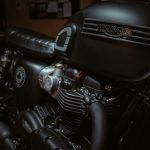 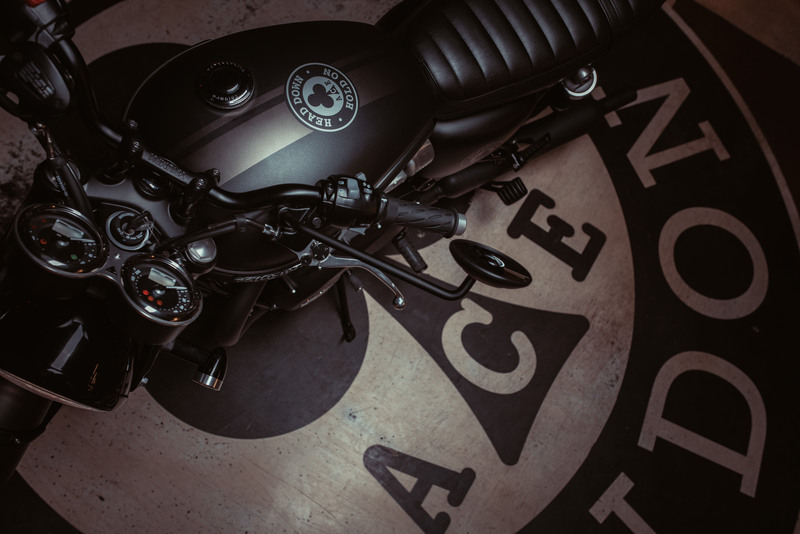 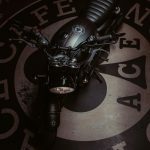 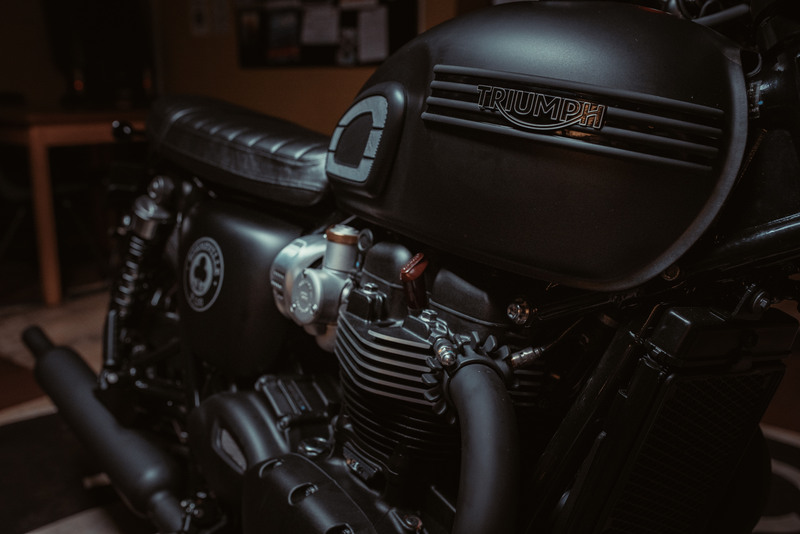 The limited edition Ace (only 1,400 units will be produced worldwide) is based on the Bonneville T120 Black with blacked-out intake covers, engine badges, and bench seat. 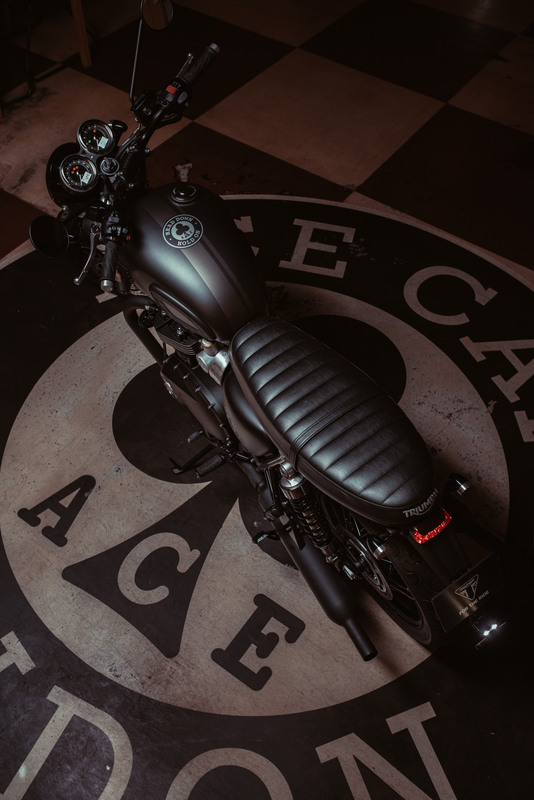 The color scheme is a matt Storm Grey paint with contrasting striping on the tank and Ace Cafe graphics. 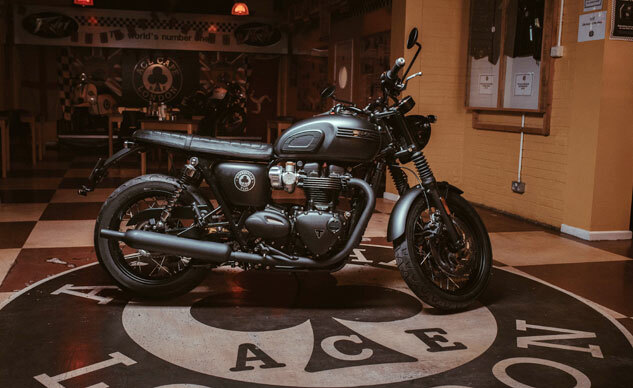 The engine is the same 1200cc high-torque 8-valve Twin as its Bonneville T120 brethren. 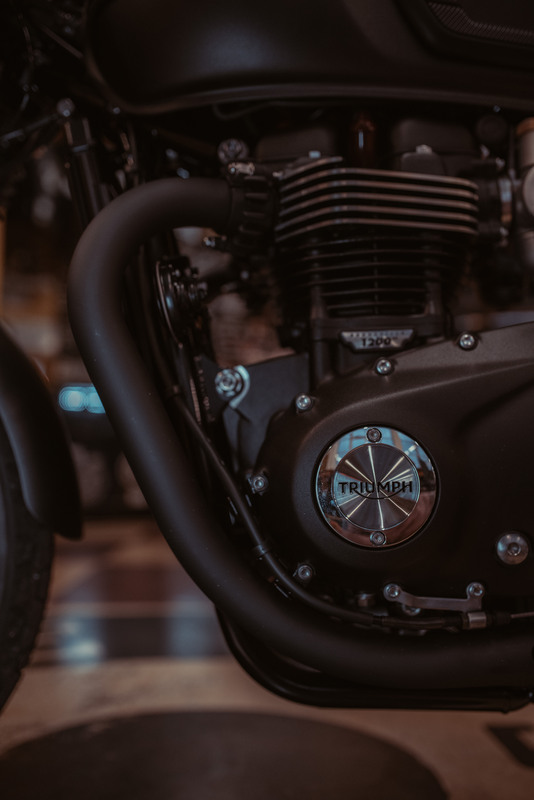 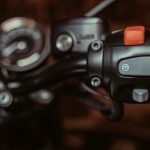 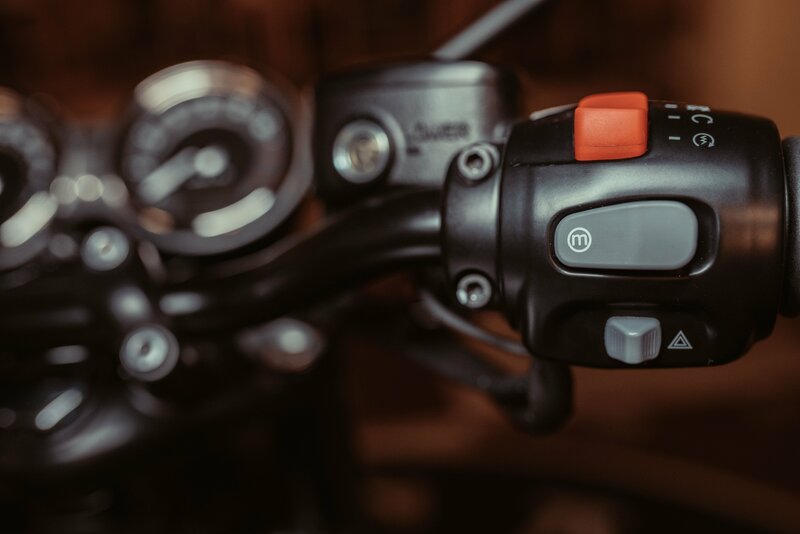 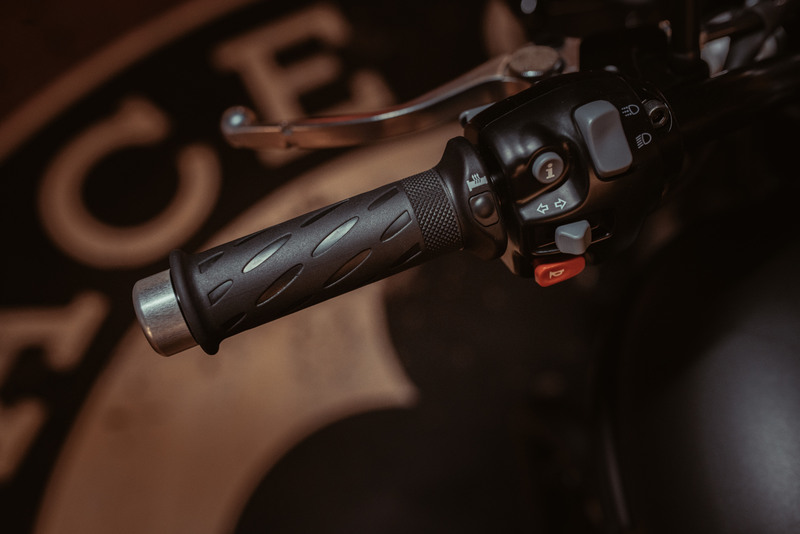 Triumph claims a peak torque of 77.4 lb-ft. at 3100 rpm. 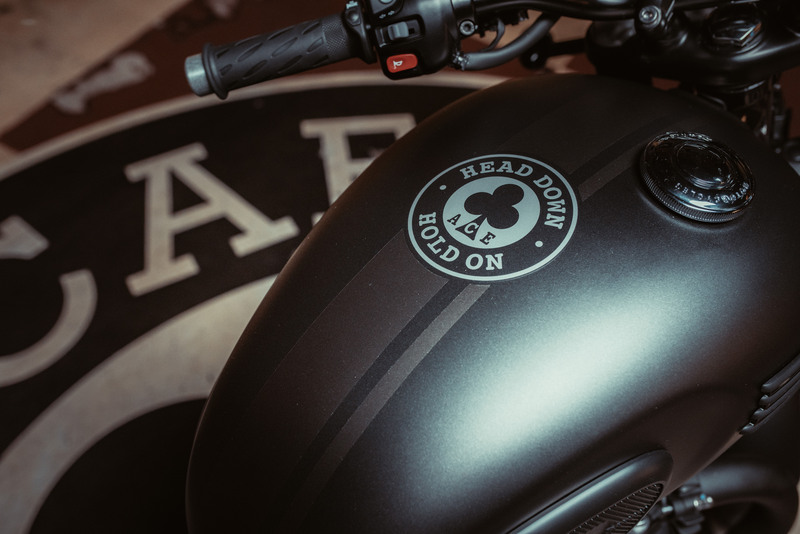 Other features include four-bar Triumph tank badges, KYB suspension, and Nissin brakes with ABS.